Hotel La Corona de Lipa is a landmark hotel in Lipa City, Batangas, Philippines for more than two decades. With its mansion-type look, guests can go about their everyday business at the comforts of home-style accommodations. Popular among businessmen, the hotel redefines comfort to include not just rest and relaxation but also lots of entertainment. Belt out a song at the KTV, break the ice at the bar, or drink a cold beer while shooting some pool. Hotel La Corona de Lipa adds greater spice to your Batangas itinerary, whether it’s golfing at Mt. Malarayat or diving in Anilao. When you get back to the hotel, you’ll find that more good times are ready to roll. The hotel may be a party hotspot but it keeps its 37 rooms cozy and intimate, the way a boutique hotel is designed. All lodgings at this accommodation in Batangas have that laid-back feel, complemented by essential creature comforts such as air-conditioning, cable TV, and a mini-bar. The private toilet and bath has a hot and cold shower. And with Wi-Fi Internet access in each room, you can keep up-to-date with your affairs while relishing your vacation time. When hunger sets in, drop by Café Corona, the in-house restaurant and bar of this Lipa City hotel. Open from 6 AM to 1 AM the following day, it boasts a delectable menu of local and international cuisines. Feast on hot coffee and warm toast for breakfast, gourmet meals for lunch and dinner, and cool desserts and cocktails for sweet endings — all carefully prepared by our talented kitchen crew. 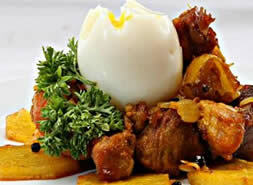 Have your dose of tummy-filling delights here and satiate your appetite. Hotel La Corona de Lipa redefines entertainment with its array of leisure activities for its guests. Sing your heart out at the La Corona Music Pod or treat yourself to a massage. 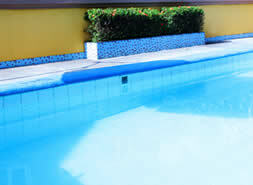 Relax by the outdoor swimming pool, or play a game of billiards or darts at the game room. The Robusta Function Room, meanwhile, provides an ideal out-of-town setting for your corporate and social events. 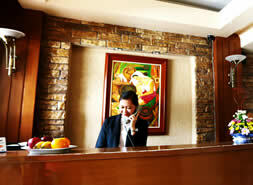 Indeed, there's no hotel in Lipa more exciting and active than Hotel La Corona de Lipa. The hotel is situated in Lipa City in the province of Batangas. Being just 78 km from Metro Manila, Hotel La Corona de Lipa becomes an ideal destination for weekend getaways. To arrive here, you may drive through the Southern Tagalog Artillery Road (STAR Toll) and exit through Tambo. Turn right towards Lipa proper and take the left road upon reaching the fork. Head to Pres. J.P. Laurel Highway. Hotel La Corona de Lipa is on the right side of the road, across SM City Lipa.